Depth of hold 32' 10"
Dictionary of American Naval Fighting Ships History: Watonwan, a single-screw, steel-hulled freighter built in 1918 for the United States Shipping Board (USSB) at Bristol, Pa., by the Merchants' Shipbuilding Co., was taken over by the Navy for use with the Naval Overseas Transportation Service (NOTS), assigned Id. No. 4296, and commissioned at Philadelphia on 4 February 1919, Lt. Comdr. Arnold H. Lewis, USNRF, in command. 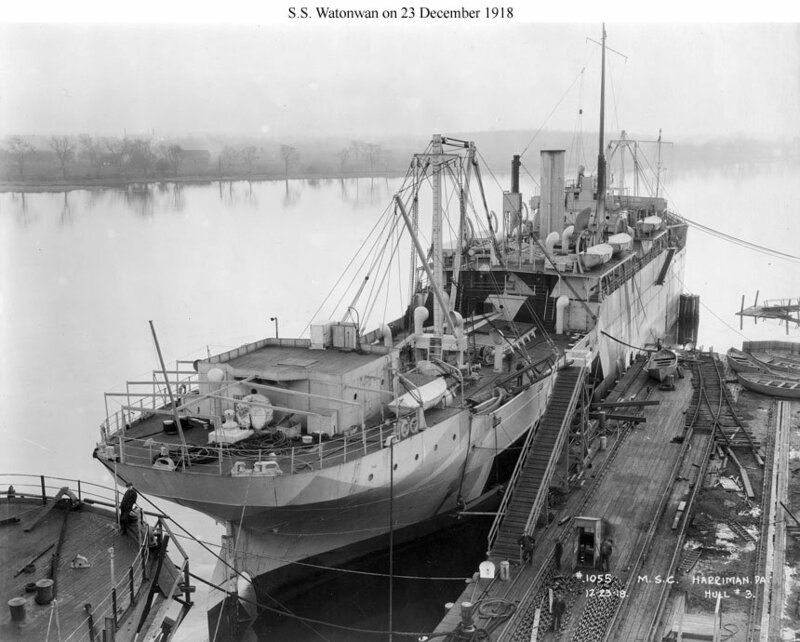 After loading 7,087 tons of flour, Watonwan departed Philadelphia on 19 February, bound for the British Isles, and arrived in Falmouth, England, on 5 March. After discharging a part of her cargo there, she departed that port on the 12th and called at Plymouth and Gibraltar before sailing from the latter port on 22 March for Italy. Reaching Genoa on 26 March, the ship discharged the last of her cargo of flour there loaded 1,250 tons of stone ballast, and sailed via Gibraltar for the United States. Watonwan tarried briefly at Norfolk, arriving on the 26th and departing the next day, before moving on to New Orleans, La. She arrived there on 8 May and was decommissioned on 14 May. She was simultaneously struck from the Navy list and turned back to the Shipping Board. 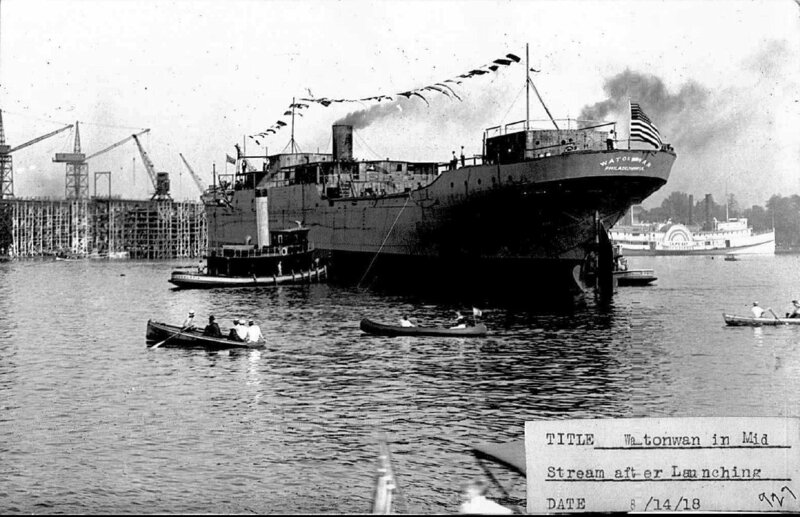 Laid up in 1923, Watonwan was eventually abandoned, due to age and deterioration, in 1931.